Within the two years that he’s been with us, @Quadricolor has gone out of his way to reach out and get to know other members of the community. From other members’ hobbies to unwind, to their music interests– he takes the time to shine light on the little things that could help relieve some of the stress from each day’s trades. However, this doesn’t mean he can’t get informative and technical. With topics such as Brokers, ratings and new transparency with ESMA and Flash crash and which brokers had acceptable slippage on stop loss orders, he makes it a point to help out newbies and share relevant information with the rest of the BabyPips community. Although a lot has changed since his demo trading journey two years ago, Quadricolor remains as a calm and understanding voice on our forums. And today, we get to know more about his trading journey, and how he became the profitable trader he is today! Without further ado, we give you @Quadricolor! 1. Tell us something about yourself, What are your hobbies and interests, etc.? So, I love all things aquatic and that is where my main hobby lies. I’m an avid fishkeeper and have kept aquarium fish from a young age. Another hobby is photography, though I don’t do so much these days. I’ve always been interested in investing activities and read many books about investing, entrepreneurship and other related books, which brings me to another interest, reading. I am also interested in world politics, the sciences and the natural world. 2. When/why did you start trading forex? What resources did you use to learn how to trade (websites, books, apps, mentors, etc.)? I started trading the day after the Brexit decision. Just before the vote I realised that the odds of the vote going the way of leave was around 45% (just like the polls). However if the leave won, the depreciation of the pound would have been more than two times the risk laid out and more like 3 to 4 times reward to risk. It was a very good odds trade. I thought with careful placements of orders that risk reward ratio could be lowered, however I never traded that evening. I was busy with my business and other things. When the events unveiled I realised I missed a big opportunity and that I had called it right, it was a good trade. I also realised that my business (and traditional jobs) were vulnerable to things out of my control, such as the economy and whims of other people, businesses and governments. That day I decided I would learn how to trade the markets and make a career from it. 3. During your first few days in the BabyPips community, you mentioned that you used a cent account. For some of our newbies who might not be familiar with this, could you explain how a cent account works? What are the advantages of using this type of account? When I started trading, I started with demo accounts for a while. When I wanted to move on, one of the brokers offering good demo account options also offered a live cent account. This is very similar to a micro account, only that it is based on cents (or pence) instead of Dollars (or Pounds). So if I deposit £50, I see a balance of 5000 p. In this way I can trade with real money and see what would happen if I deposited £5000. It gives a taste of trading for real. It had almost the same emotional and mental impact for me as trading with a full account; the same fear, greed and other trading emotions. I realised not everyone will feel the same extent of the emotions as my wife would say,”Why worry, its only £50?” However, for me the amount of money makes no difference. It is the percentage annual growth (compound interest) and what that means which is important to me. The advantage is that when I was trying to trade with 500:1 leverage without risk management rules I quickly lost more than 80% of the capital, so I only lost £40 while learning very valuable lessons. The main advantage of a cent account is as a mental trick to get as close to trading with real money as possible while training, to test your trading method and mental and emotional stamina. When I glance at the trading balance and see I have just lost 4000 (units), I don’t automatically mentally register that is was pence instead of pounds. Whereas looking at a micro account I see that I have lost £40 not 4000 (units). 4. The transition from a demo account to a live one can seem very intimidating for some newbies. Back when you were still starting out, how did you know you were ready to go live? What signs were you looking for that helped you make your decision? Honestly, I disobeyed the rules! While demo and cent trading I would have profitable runs, then I would think,”I’m missing out! I need to trade!” so I opened accounts too early, luckily I did not put in very big deposits, only a few hundred pounds. I did find it intimidating and an emotional roller-coaster at first. I did not know I was ready but thought I was ready to trade live early on. However I am naturally a cautious individual. I don’t generally gamble, so my own cautious nature held me back from making a significant deposit. Going forward, I was always looking for a good run of a trading strategy over 6 months or more, before going live. I realised I needed to be more emotionally capable of handling losing streaks and eating into my drawdown. Sometimes it made me feel somewhat physically sick when I was losing money, even though I was trading 25:1 with just £200, then I knew I wasn’t ready. So I began to realise when I was not ready, however knowing when I am ready is more tricky. My personal problem is that I get to excited and start too early, I feel that I might be losing out. 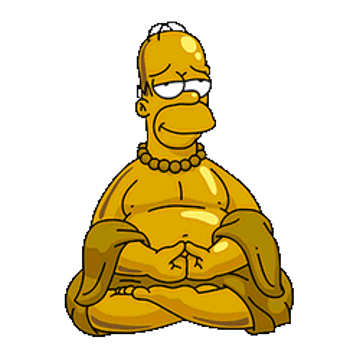 I also meditate to reduce mental and emotional stresses. It also allows me to monitor myself, almost outside myself to reduce these stresses that would lead me to make bad trades. I believe that in general women have higher EQ (emotional quotients) than men and so would therefore make better traders, it is just a calculated observation. 5. What is your advice for newbies who are planning to go live soon? If you go to bed and you are worried about your trades, waking up, scrambling for your phone to see the latest prices because you’re worried about your trade… You’re not ready. I would say you need to have at least a good run of 6 months at a minimum of a trading strategy and be able to trade it with small amounts of money all while being modestly calm. The advice here seems to demo trade for at least 1 to 2 years. It is important to get a hold of the emotional and mental part of trading. I still now have to go back to my strategy plan and read through it to stop me placing emotional trades or ending them early. I am still amazed that I do not follow my strategy sometimes and that it is purely down to emotions. With practice it has become a lot less of a problem. I would advise going live with a fraction of your aimed for trading balance, maybe 5 percent. Leave the rest in the bank. 6. What is the trading strategy you’re currently implementing? How has this strategy worked for you so far? I basically use a discretionary, trend following swing strategy. Discretionary because I use fundamentals to influence my decisions. Trend following because I only follow the long term trends unless significant long term reversals are becoming evident. Swing because I look for signs of a swing back into the main trend, much like Robopips mechanical SMA pullback crossover system. I usually sit at the end of the week, Friday, Sunday evening or even Monday and prepare for the whole week. I only trade a handful of majors and maybe one cross, So the Euro, Cable, Loonie and Dollar (EURUSD, USDCAD, GBPUSD) , occasionally the Yen and Aussie. Once my work is done I have most of my targets or action points set. This has been working well and I have upgraded and added to it quite a few times. The problem I still have is the execution, the human element. The good thing about my system is that there is a lot of preparatory work. It can take an hour or more to go through one preparation for a trade on a pair, but this does slow me down and set certain entry or exit requirements, so if I’m over excited about a trade looking really good, I slow down, go through my system and often my system shows a trade is not good, and stops me pulling the trigger… most times. I also work mainly with weekly long term trends and reversals, then daily studies for the main entry points or signals combined with 4 hour studies and signals. To be more specific, I use the Ichimoku Kinko Hyo on a weekly chart for trend or range analysis. I also have 3 EMAs at 50, 100 and 200 which serve a very similar function. At a glance I can see if there is a trend and its direction, a range or a breakout. I look out for the main news for the week ahead as it often pushes the market and look for potential confirmation of daily confluence points. On the daily charts I look for swing lows and highs and just draw in trend lines. I use stochastics to help find the high and low points. I also find supports and resistance. It is here, if I look for the swings potentially coming back into the main weekly trend. I start looking for potential convergence points, for example where a stochastic is overbought, close to a convergence of resistance factors and it is in a weekly downtrend. I may view it as retracement ready to continue the bearish trend and find entrance trades with further daily or 4 hour confirmations. I will also look at the RSI and market sentiment, such as the commitment of traders to look for further weekly trend or reversal confirmations. I have my own custom indicator, which is basically a momentum indicator that help in my decisions on a daily and hour basis. I use daily ATR ranges to find further support and resistance levels and confluence areas to pinpoint entry or take profit levels. An essential part of my strategy is my risk management system which calculates how much to invest in any given trade. Another part I have recently added in is my emotional and mental state, this has been an eye opener and helps me keep on an even keel. 7. Could you share with us one of the proudest moments of your trading journey? My proudest moment was also the worst moment. It was when I called it right with the first trade I never took on the Brexit. My wife was real annoyed I did not get round to setting up an account and trading. However it is a moment that made me realise that this is for me and to get into it. There have been and will be similar opportunities to come, but now the opportunities can be acted on. 8. In the years you’ve spent with us here, what do you think is the most important thing that the BabyPips community has taught you? Risk management is the one big practical thing that I’ve found very important. I found out here to reduce my risk management and that it was far more important than any indicator. I believe one could potentially trade blind with good risk management systems and beat indicator based trades with no risk management. 9. Non-forex related questions! Who has impressed you most with what they’ve accomplished? I have to say Nelson Mandela, because I lived through his good work. He came at a time to make peace and reconciliation and brought South Africa out of a dark period and into a new era of self determination. He was in prison for many years and came out seeking peace and a brighter future for all. He remained humble throughout his career and remains an inspiration to many. There are too many world leaders who could learn a lot from his example right now. 10. What’s the most motivating thing someone has told you? What impact did it have on your life? As far as a quote of inspiration or similar, I haven’t had any. Though on a personal note, I was told by my first boss many years ago that I noticed things that no one else ever noticed. This gave me a bit of confidence that I had a unique ability that very few others had. I think this may also help me in my trading career too. This is really useful. Must read for any trader. Thanks for sharing. Who is this guy and why he deserves so much attention here? Quadricolor has been an active member of the BabyPips community since 2017. Apart from sharing valuable information and articles with the community, he also spends time to help out newbies with their questions and concerns. We were very happy and honored that he accepted our invitation for a forum feature since this also serves as one of the ways through which we show our appreciation to our contributors. This is actually a regular thing we do wherein we reach out to active contributors on our forums, and invite them to do a interview with us so that other members could learn more from their opinions and experiences. If you check out our Member Spotlight category, you will see Q&A’s with other members. We hope you enjoyed reading his interview, and stay tuned for more! thank you penelopi and mr. quadricolor. this is very helpful. it is the first time i have heard of cent accounts. i wonder why i did not encounter them in the babypips school. Pretty much sound advice and I must say we share a similar trading strategy, which I am only now after a years trading with a small account, are starting to master…Yes sometimes I still jump in on sentiment, but that is getting less too. Just a pity we don’t share the same non-forex related sentiments. Nelson Mandela was a convicted terrorist responsible for the deaths of hundreds, if not thousands of white South Africans. But in this country it is the criminals who become leaders now days! What he did was take us out of prosperity and plunge us into uncertainty and chaos, took us from a 1st world country back to the dark ages! Oh sorry, this is not a political forum! Anyone consistently making a profit deserves attention. There’s always something to learn. Eventually you will get to a Trust Level on the forum where you can start a political thread in The Lobby. I like that you are prepared to express unpopular views and I think you should start a political thread when you get there. I have never traded on a demo account, i believe that the best way to learn to swim is in the deep end. A friend of mine agreed with your sentiment and traded with a proper sizable deposit. He believed that the best way to learn to swim was in the deep end. He could master his emotions and trading strategy. He even had great trading mentors (paid for), problem was that the sharks ate him before he learnt to swim. He lost his entire deposit, stopped trading and now is asking me to invest for him. It is a pleasure, hope your trading continues growing steadily. I guess some people just don’t have the right mentality to become successful traders. One thing i have learnt in life is to never ever ever give up!! Your original advice was to dive into the deep end. Problem with that is if the traders could lose all their capital by diving in the deep end then he has no choice but to give up. The cold fact is that traders cannot continue trading without capital, you have to give up trading to work to pay the bills. Now you appear to be arguing he doesn’t have the right mentality. Perhaps he took the wrong advice and shouldn’t have listened to people who said,“just dive in”, that way he can develop a trading system through a Micro or demo account first, then continue to trade more successfully with his capital on the right strategy, then he wouldn’t have to give up, because he still has his money. When I started I blew way more than 10 demo accounts before putting a penny down, luckily I’m still trading now because I didn’t dive in. Perhaps you have a special gift for trading, or you blew a few real accounts before finding your feet? However more than 90% of novice traders have to learn from scratch. I would happily produce a counter argument to this in a political section of these forums. Like you said, you blew a couple of accounts, and so did i, but we are still in it, we didn’t give up. When i say dive in i don’t mean become wreckless, you still follow your system and at a very small scale, you are not going to test a system with all the money you have. When you are trading live it is my experience that you are much more careful and thorough in your approach and you learn a lot quicker…but maybe thats just me. Would be interesting to hear, visit the Lobby for Nelson Mandela - Saint or Terrorist? I obliged with Nelson Mandela - Saint or Terrorist? Oh and just a point of warning, NEVER trade with money needed to pay for your bills!